One of the many multihued and adorned walls of Eye's Gallery. Photographed by Mónica Marie Zorrilla. 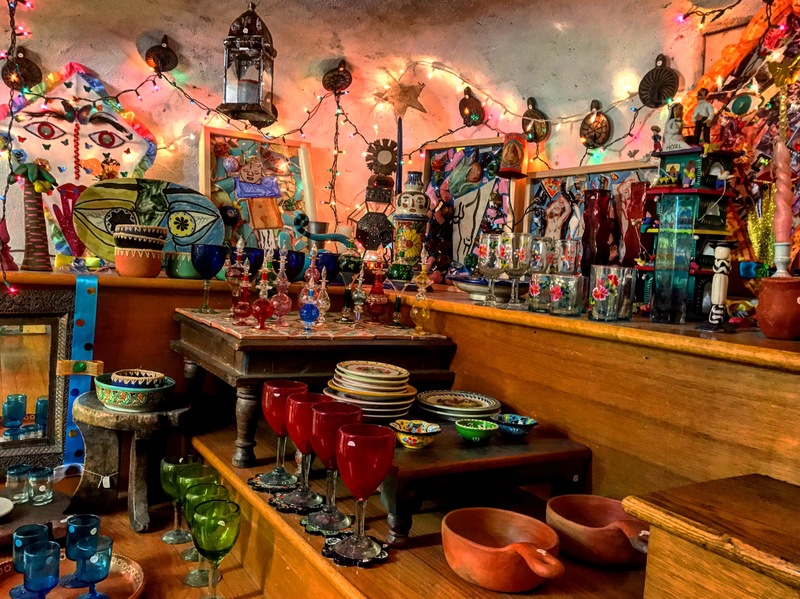 Julia and Isaiah Zagar did not expect the language barrier that faced them on the glimmering shores of Lake Titicaca, the largest lake in South America where- according to Andean belief -the brightest star in our daytime sky was born. The Peace Corps required the young couple to take a crash course in Peruvian history, botany, people, culture, and anthropology. 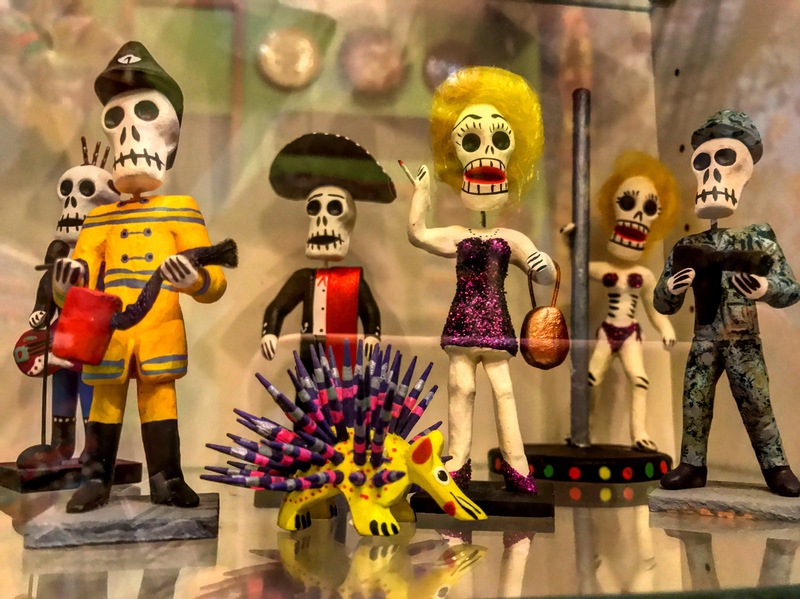 When they landed and settled southwards in the pastoral postcard village of Chicuito, they assumed that they would be greeted by an effusive ¡Buenos dias! instead of the Aymaran ¡Suma urukiya! Communication, then, for the next three years during the Zagars’ volunteer service trip was less of a verbal exchange and more of a “show and tell,” Julia recalls. Though a daunting dilemma at first, the Zagars came up with a solution to the language barrier: communication through artistry. Along with the villagers, they formed a craft “co-op,” wherein over a hundred new products were designed and shipped all over the world. While weaving in a specialized traditional Andean technique alpaca wool with only five needles and “any design”, Julia fondly states that while the Zagar’s learned about the way that the villagers lived, they felt like they received more from the villagers than they were able to reciprocate as members of the Peace Corps. 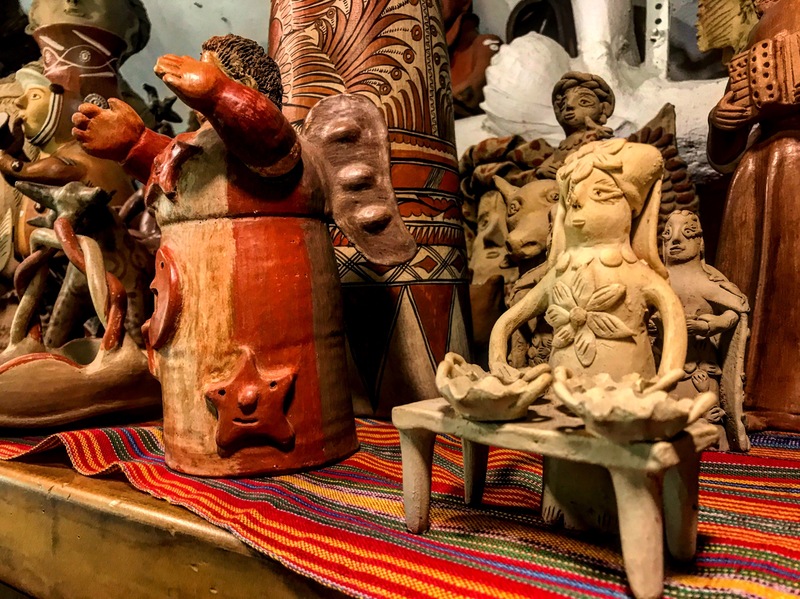 Out of all of the gifts that the villagers bestowed upon the couple, one would stand out and leave a brilliantly multihued legacy: an appreciation for folkloric art. 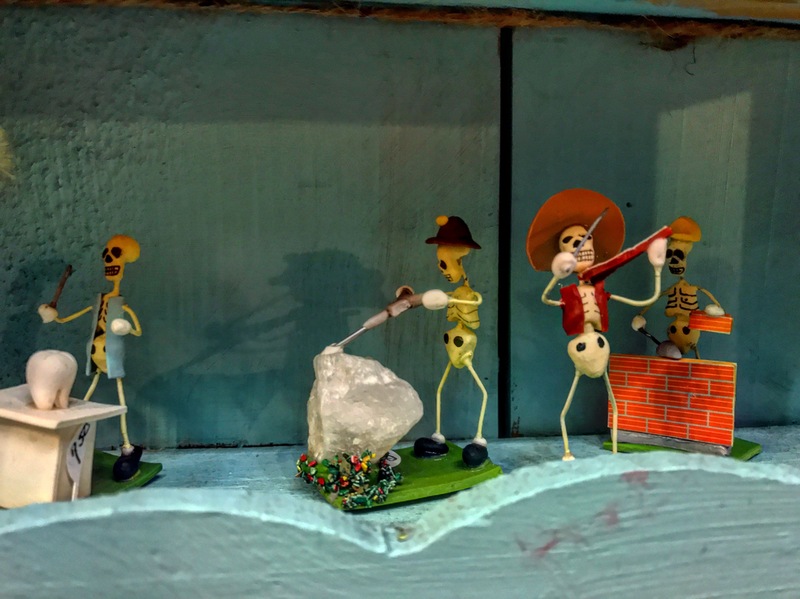 But, a love for folklore left Julia and Isaiah Zagar with another unexpected quandary, for their collection of handmade artisanal crafts and antique relics began to grow exponentially. 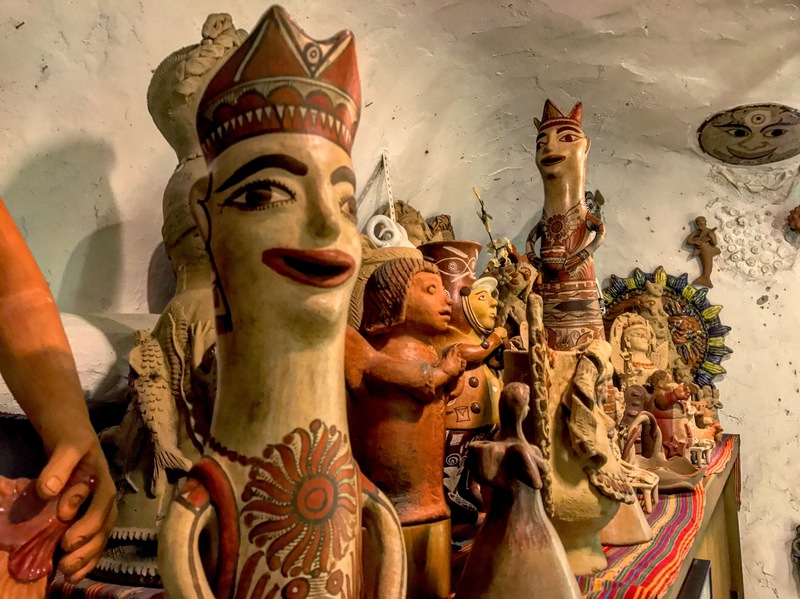 At first, the Zagars temporarily resolved the issue of storage capacity by tapping into their generous side and giving one-of-a-kind precious Andean objects as gifts to family members. Again, the Zagars did not foresee their family members exasperatedly saying “Enough!” after their enthusiasm to share began to get excessive. With seven footlockers stuffed to the brim with their collection, the Zagars ended their three-year Peace Corp stint in The Land of the Sun in 1968, and settled down in none other than The City of Brotherly Love. Their next plan of action? Opening a gallery. “Isaiah’s sister was in Center City when we got here, and for the money, South Street seemed like the best place to be. The building was a wreck when we got it, but we only paid $10,000 for it. Isaiah banged it apart. I was pregnant at the time, and we moved in right from the hospital. Eye’s Gallery opened a month later on the first floor” Julia explains. 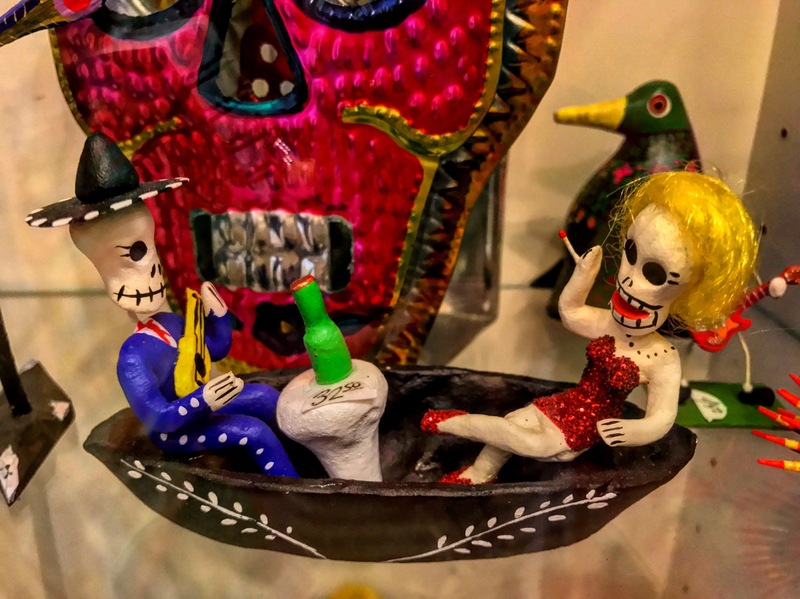 Eye’s Gallery is the most fitting name for the three floors of mesmerizing and scintillating ocular craft candy on sale and for display. 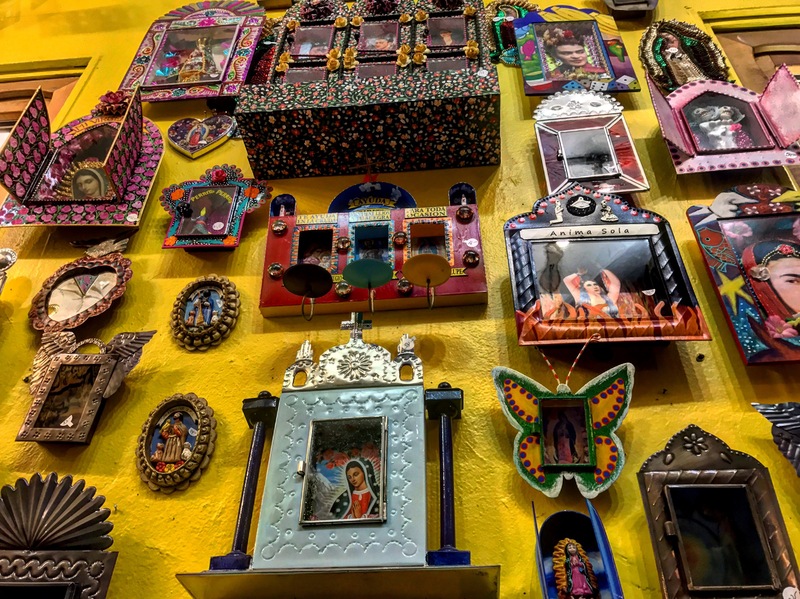 Woven, sculpted, sewn, or painted, Eye’s Gallery is overflowing with Latin American handiwork, intermittently backdropped by Isaiah Zagar’s familiar ceramic mosaics on the walls, floors, or ceilings. 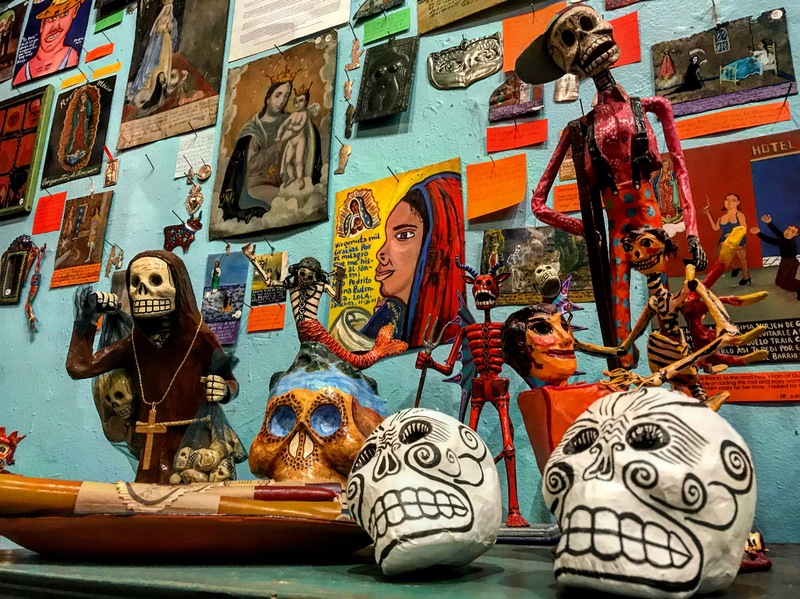 Virtually each inch of the narrow South Philly space is occupied by retablos, Mesoamerican huipils, strung Guatemalan hammocks, tapestries, Pre-Columbian art, itty bitty Día de los Muertos figurines that pack a sizable punch, charms, alebrijes, instruments, or clay housewares. 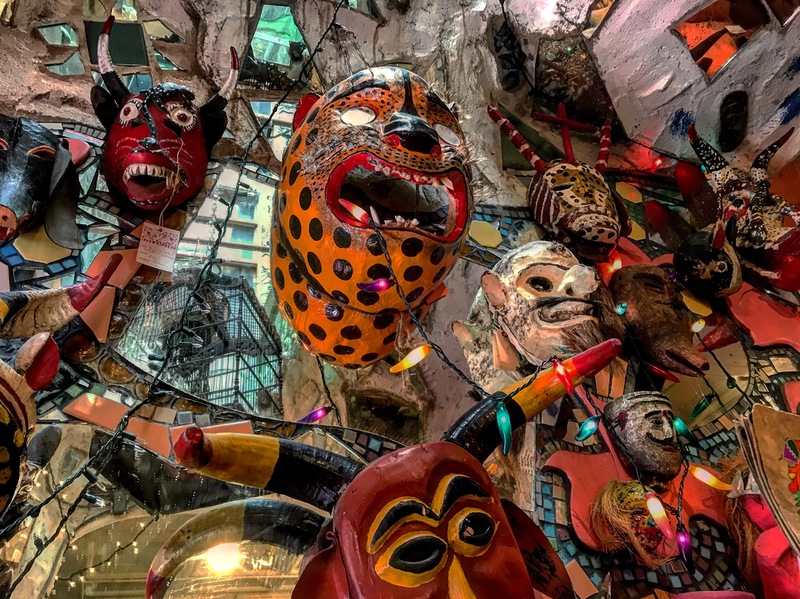 And while every few steps up, down, left, or right at Eye’s visually stuns with an array of spectral glints in bright shades and rusted tints, one thing remains uniform: you will always feel the potent gaze of fantastical máscaras as you rummage through their domain. Although Julia and Isaiah are White, they aim to provide as much cultural education and cultural awareness as they can to balance the sensorial cultural immersion in the gallery. Beyond providing plaques and print-outs with historical information amongst the objects at Eye’s, Julia explains that she and Isaiah “Still sit down with artisans all over the world and communicate. They respond to our youth and energy to interact not only with language but with drawings.” This means that, according to one of the gallery’s buyers Carole Shields, “almost 50-60% of the inventory is straight from the source.” By purchasing from the source and participating in the fair-trade movement, Eye’s Gallery has been able to benefit artists and workers in a way that ensures an ethical transaction. For example, most of the beaded accessories and bags sold at the store are made by crafts women around Lake Atitlan in Guatemala. 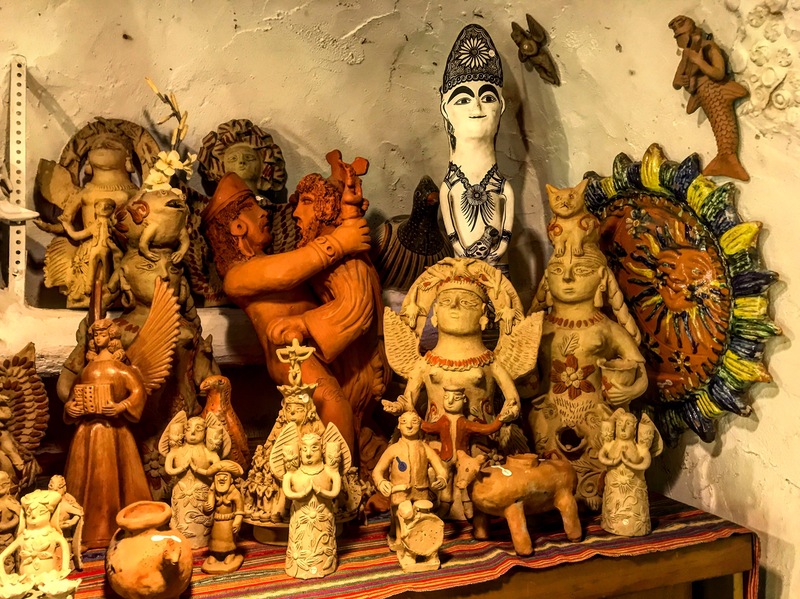 Many of these Guatemalan crafters are connected to Eye’s Gallery via “Casa Milagro”, an organization that feeds, houses, educates, and provides safety for widows, young mothers, and their children. 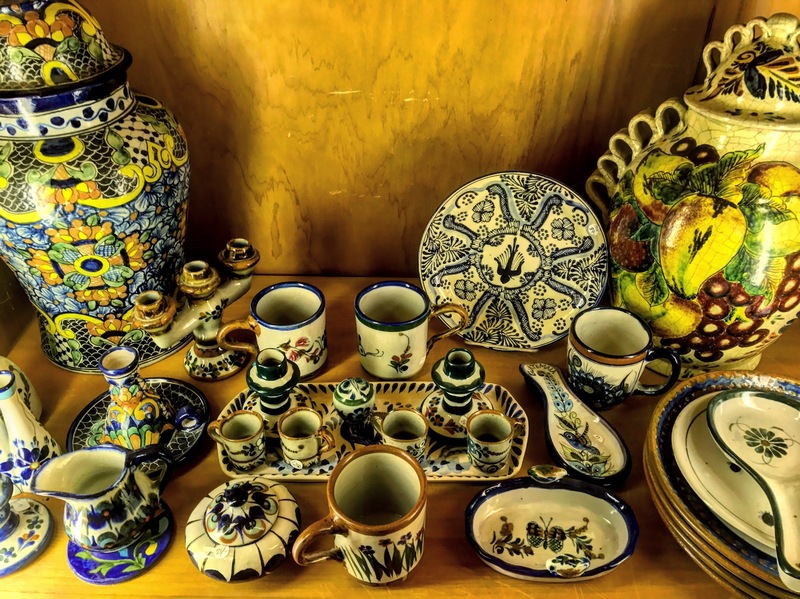 Other folkloric gems make their way to the stock shelves at the gallery through the educational trips that Julia Zagar and her friend Deb Colburn organize and run together. 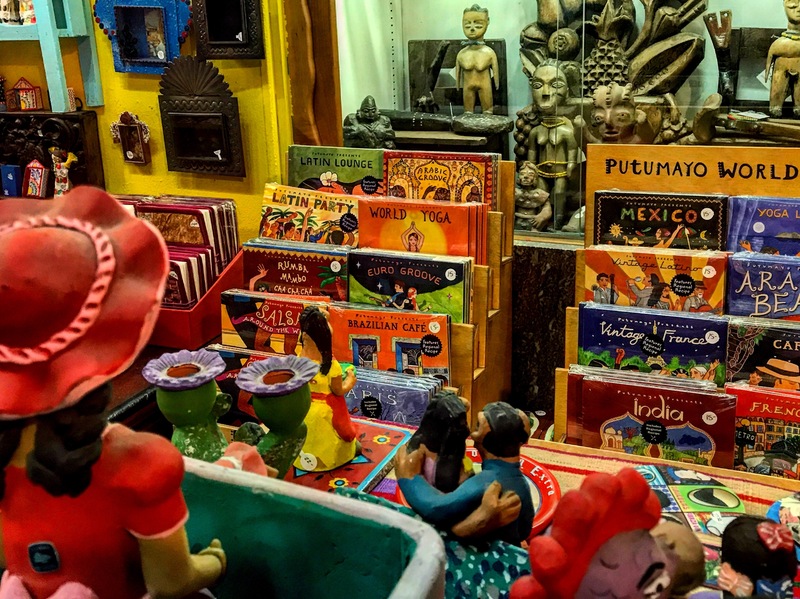 For nineteen years, they have had a “very faithful following”, traveling to countries with “rich cultural histories” such as Cuba, India, Guatemala, Mexico, and back to where the love all began: Peru. As I was leaving Eye’s Gallery, after spending nearly an hour meticulously categorizing all of the inventory in a mental list to use for this piece later, I spoke with Carole Shields once last time. “Oriente” by Asere hummed melodically in the background as she told me how, in the last two decades, much has remained the same at Eye’s while the surrounding South Philly neighborhood has seen demographic and cultural shifts, particularly in the rise of hipsters and millennials from New York, Baltimore, and Washington D.C. desperate for more affordable housing. She tells me that, though the flow of faces and demands has changed in the fifty years that Eye’s has operated, the “sense of wonder” that befalls on the gallery’s patrons remains as vivid as ever. 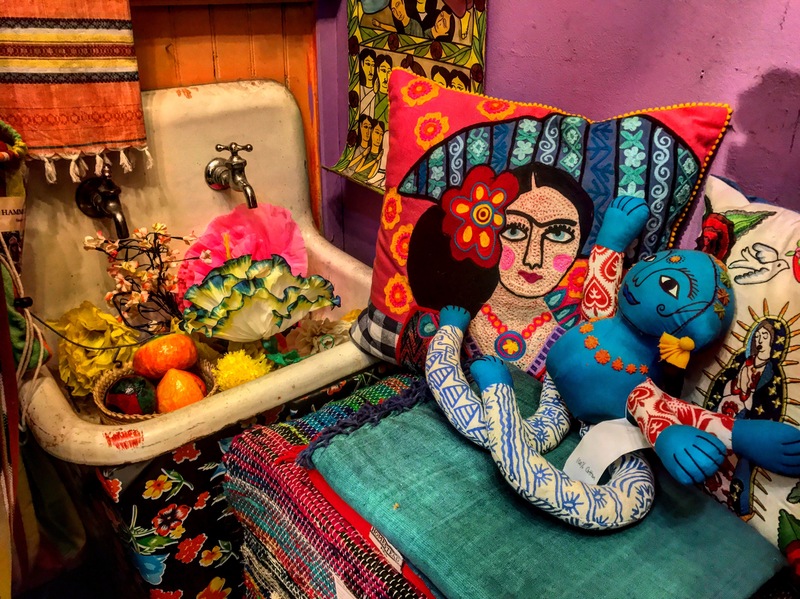 And, as I find myself yearning to stay just five more minutes in the glow of trinkets and bejeweled renditions of La Virgén de Guadalupe, I can’t help but agree with her. 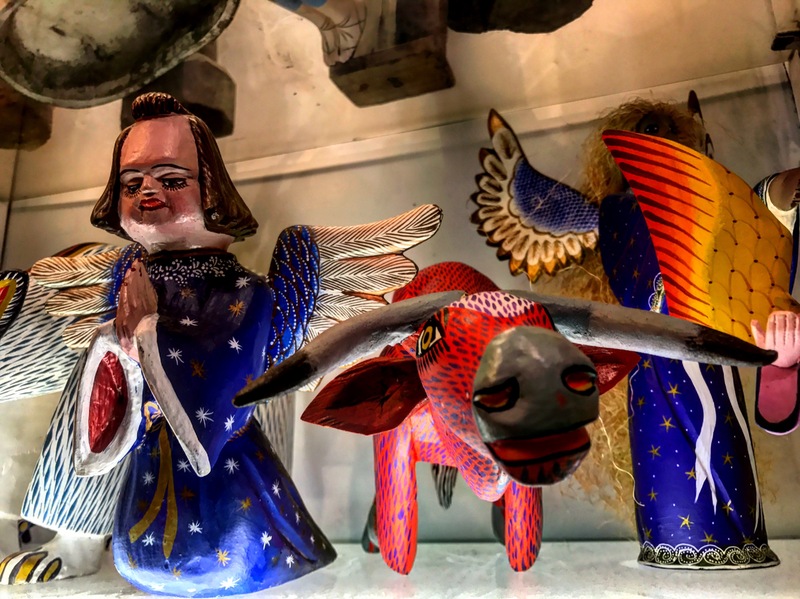 You can stumble upon (and purchase) the folkloric wonders at Eye’s Gallery every Monday through Sunday on 402 South Street, six blocks away from Isaiah Zagar’s “Magic Gardens” on 1020 South Street.